EDINBURG — Hidalgo County Emergency personnel were largely on watch for a storm that slowly crept in Friday afternoon. Gov. Greg Abbott issued a state disaster declaration Friday morning for Hidalgo, Starr, Cameron and Willacy counties, along with 73 others, in anticipation of a tropical disturbance bearing down on South Texas. 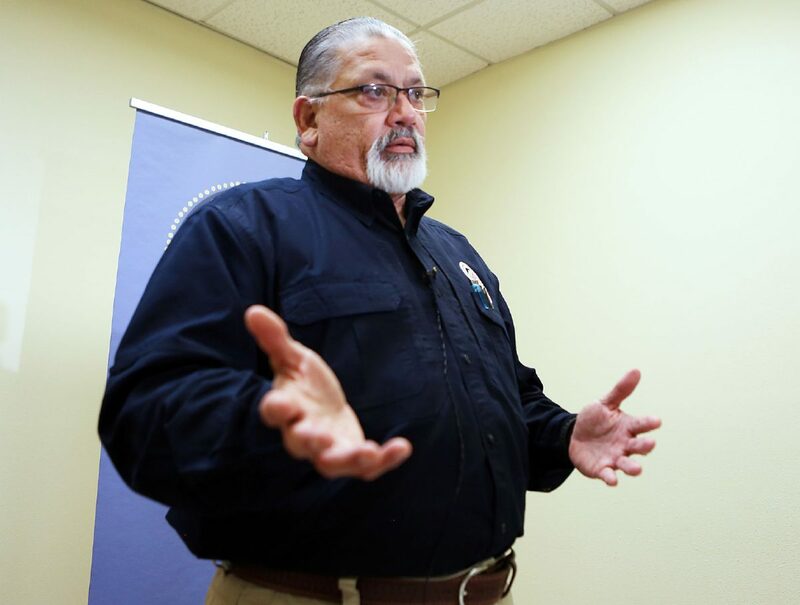 Locally, Hidalgo County Judge Ramon Garcia issued a proclamation declaring a local state of disaster, while emergency management personnel — who prepared for heavy rainfall for more than four days — set up pumps, cleared drainage ditches, moved water out of the drainage system, handed out sandbags to residents and opened three shelters in Weslaco, Donna and Mission. Hidalgo County received isolated showers throughout Friday afternoon while Cameron County received harder rains. Low temperatures appear to have kept the rain at bay in Hidalgo County, Saldaña said. Hidalgo County, however, might see heavy clusters of rain late Saturday. 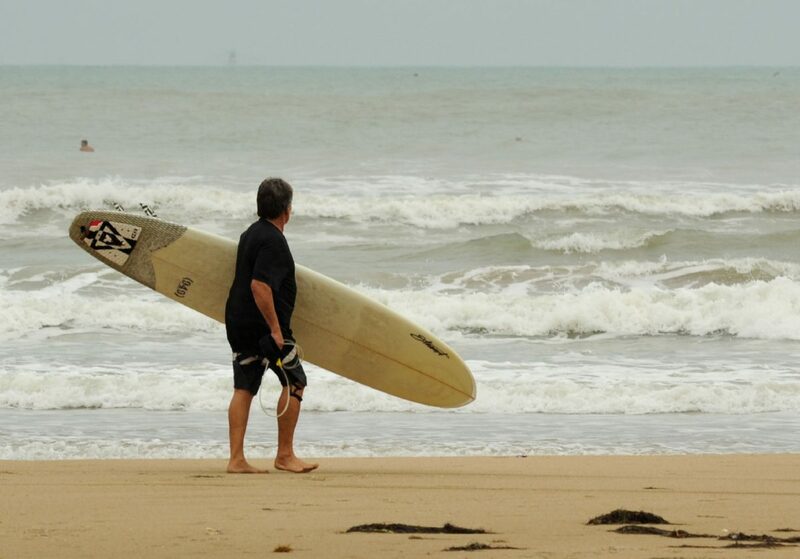 “The Gulf will light up again overnight (Friday),” when the tropical disturbance recharges from the warm waters of the Gulf of Mexico, said Barry Goldsmith, warning coordination meteorologist with the National Weather Service at Brownsville. As a result, it could drop 4 to 6 inches in a three-to-five-hour period in areas closer to the coast. Residents in eastern and western Hidalgo County continue to recover from a June rain event leaving hundreds of homes flooded, and emergency management officials are keeping a close eye on the previously-affected areas, deploying large pumps to be on standby. Hidalgo County requested 12 pumps from the state, along with high-profile trucks and boats, but had yet to receive any equipment as of Friday afternoon. “The issues that we’ve been having here lately is finding pumps because a lot of them were relocated to the Carolinas in anticipation for (Hurricane) Florence, but the state has been able to find some since,” Saldaña said. After making landfall in Cameron County early Saturday, thunderstorms could venture west hitting parts of southeast Hidalgo County, such as Weslaco and Mercedes, potentially dropping 2 to 4 inches of rain. Rains could also hit Donna, San Juan, Edinburg, McAllen and Mission by the afternoon, dropping anywhere between 2 and 4 inches. By Saturday evening, the best chance for heavy rain shifts to the northwest, including Zapata and Jim Hogg counties, with the possibility of stretching into Starr County, according to Goldsmith. “So by Saturday night, the worst will be over in terms of the Valley,” he said, adding the region could have scattered showers Sunday, dropping 2 to 3 inches of rain in places. Next week will be drier, Goldsmith said. “It’s all a waiting game to see what these storms do,” Saldaña said.